The Three Haram Tour is a lifetime journey, allowing Muslims to visit Islam’s three main holiest sites in Masjid Al-Aqsa [Jerusalem], Masjid Al-Ḥarām [Mecca] and Masjid an-Nabawī [Medina] in one visit. The Messenger of Allah (peace be upon them) said: “Do not travel to visit any mosques except three: Al Masjid Al Haraam [in Mecca], this mosque of mine [in Medina] and Masjid Al-Aqsa [in Jerusalem].” Narrated by Bukhari and Muslim. It will also allow you to explore three different countries in Jordan, Jerusalem and Saudi Arabia. No city other than Jerusalem claims to have the distinction of having the footprints of so many of Allah’s Prophets and Messengers (peace be upon all). 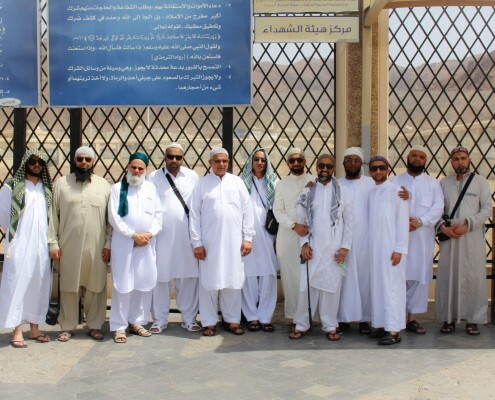 After exploring the sacred lands of Jordan and Jerusalem, we will tie our ihrams and travel to Islam’s most sacred site in Mecca to perform our Umrah.Umm Salamah (ra) relates that the Prophet ﷺ said, “If anyone puts on Ihram for Hajj or Umrah from Masjid Al-Aqsa and then proceeds to the Sacred Masjid (Ka’bah), their past and future sins will be forgiven, or they will be entered into Paradise”. (Abu Dawud).